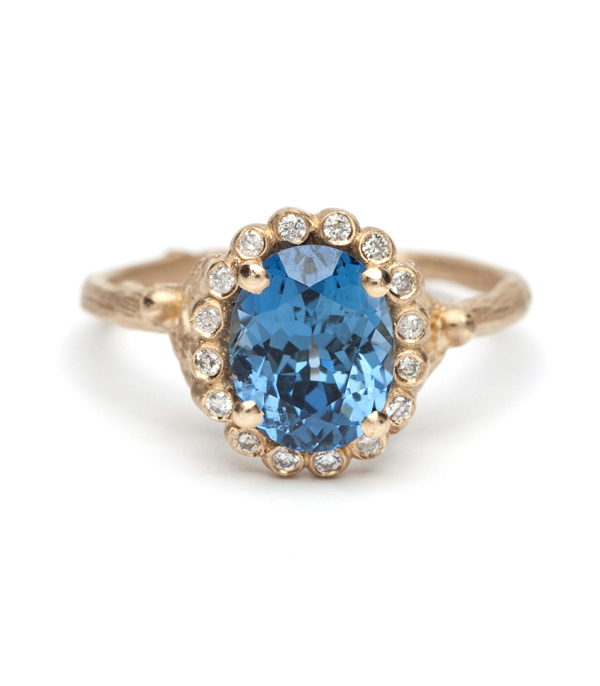 Sapphire gets its name from the Latin word saphirus and the Greek word sapheiros, both meaning blue. It is also believed by some that it was derived by an association to the ringed planet, Saturn, because sapphire can also be loosely translated to dear to the planet Saturn in many languages. Sapphire is a variety of the mineral corundum. 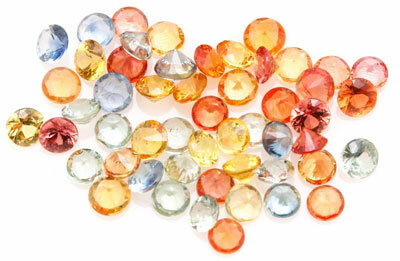 It is usually blue in color but fancy sapphires also occur in yellow, purple, orange, and green colors. Some sapphires show 2 or more colors. These are known as parti sappires. A sapphire cannot occur in red. If the corundum is red, then it is a ruby. Depending on the locale, a pink sapphire might be considered a ruby. The variety in color is due to iron, titanium, chromium, copper, or magnesium. Sapphires are mostly found in Eastern Australia, Thailand, Sri Lanka, China (Shandong), Madagascar, East Africa, and in North America in a few locations, mostly in Montana. 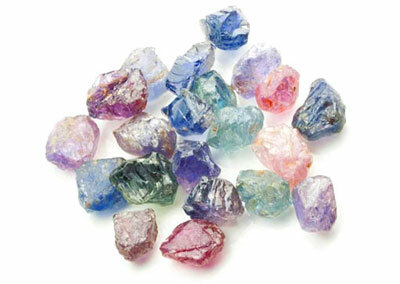 All sapphire mines produce a wide range of quality, which means its source of origin is not a guarantee of quality. Sri Lanka is the largest producer of sapphires. 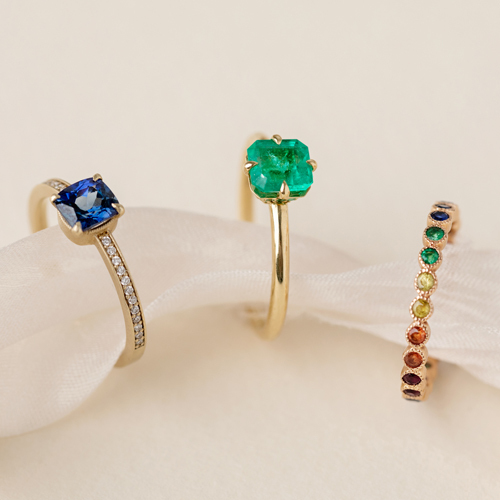 For many centuries, the sapphire has been recognized as a symbol of the heavens. A guardian of truth, innocence and chastity. It is said to promote good health, bring inner peace and beauty, joy and prosperity. It is also believed protect against illness when traveling. The sapphire is the gem of the 45th anniversary as well as the birthstone for September.